There are so many influential women who overcame obstacle after obstacle to help break through glass ceilings everywhere. Her Campus Emerson has decided to spotlight some of the many influential women who have since passed away. Please take a moment to learn about the incredible women who have inspired our writers! See that phone you’re holding? Or the laptop you’re using to to read this article? 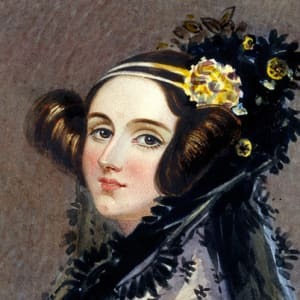 They exist thanks to Ada Lovelace, and so does anything that involves computer programming or code. Ada Lovelace, Countess of Lovelace, was born in London in 1815 to famed poet Lord Byron and his wife Anne Isabella Milbanke, Lady Wentworth. Lovelace was the only legitimate child of Lord Byron, who left England a few weeks after she was born. Her parents’ marriage was an unhappy one, and she never saw her father again. He died in Greece when she was 8 years old. Lovelace had a pretty unusual upbringing for a girl of the aristocracy in the mid-1800s. Her mother insisted that her tutors teach her mathematics and science, which wasn’t standard for women at the time. Lovelace’s mother believed that rigorous studies would keep her daughter from succumbing to a moody, unpredictable temperament like her father. She also made Lovelace lie still for long periods of time because she believed it would make her disciplined and give her self-control. Sounds kind of boring, no? All of Lady Wentworth’s particular requests must have paid off though, because Lovelace showed evidence of a gift for number and language at an early age. She was instructed by William Frend, a social reformer; William King, the family’s doctor; and Mary Somerville, another awesome lady who was an astronomer and mathematician. In 1833, when Lovelace was around 17 years old, she met mathematician and inventor Charles Babbage. Babbage was known as the “father of the computer” and invented the difference engine which was meant to perform mathematical calculations and was basically an early form calculator. The two became fast friends and the much older Babbage became a mentor for Lovelace, teaching her advanced mathematics with University of London professor Augustus de Morgan. Lovelace married William King in 1835, a man ten years her senior with which she ended up having three children. Still, Lovelace was enthralled by Babbage’s work and, in 1842, was given the task by Babbage to translate a French article written by Italian engineer Luigi Federico Menabrea for a Swiss journal on the topic of analytical engines — Babbage’s new project. Lovelace not only translated the original French into English but further added her own thoughts and notes on the machine. Her additions included descriptions of how codes could be created for the device to handle letters and symbols along with numbers. Lovelace’s version ended up being three times longer than the original article. She also theorized a way for the engine to repeat a series of instructions, a process called looping that computer programmers use today. Her work was eventually published in 1843 in an English science journal under her initials, “A.A.L,” for Augusta Ada Lovelace. Lovelace received little recognition for her article when she was alive and, like most influential women of the time, her story doesn’t have a happy ending either. In her later years, Lovelace tried to develop mathematical schemes for gambling, but her schemes failed and nearly bankrupted her. She ended up dying of uterine cancer in 1852 at the age of 36. Her contributions to the field of mathematics and computer science weren’t discovered until the 1950s. Lovelace’s notes were republished by B.V. Bowden in Faster Than Thought: A Symposium on Digital Computing Machines in 1953. Since then, Lovelace has been awarded many posthumous honors for her work. In 1980, a newly developed computer language was named "Ada," after Lovelace by the U.S. Department of Defense.